Play Chess online for free now! Are you ready for an exciting online Chess game in which your friends can be your opponents? Then wait no longer, for all you need for a round of Chess online is a computer, a little skill and a healthy understanding of the rules of the game. At GameTwist, not only can you play Chess free of charge, but you can also enjoy a Chess game that is in a league of its own! Get gaming and you’ll soon feel like a grandmaster in an elite tournament. In this live game, you play against real opponents who know how to shine in Chess and are just waiting to end their next online showdown with checkmate. But there’s also plenty of fun to be had for beginners, with more than enough suitable opponents available. Chess – how does it work? The board game Chess is a strategy game in which two players take turns in moving pieces on a square, chequered board. To win the game, you must get your opponent’s King in “checkmate” – a position that prevents it from moving anywhere without being taken. Before you start a game online, you should familiarise yourself with the most important rules. This will help you get better and avoid making mistakes. Chess is played with 32 pieces – 16 white and 16 black. There is a mix of different playing pieces, each with different strengths: King, Queen, Rooks, Knights, Bishops and Pawns. Moves are always made in turns (with the exception of castling). Only one piece may occupy a space on the board. King: one square horizontally, vertically or diagonally. Queen: any number of squares horizontally, vertically or diagonally. Rook: any number of squares horizontally or vertically. Bishop: any number of squares diagonally. Knight: the next closest square that is not on the same horizontal, vertical or diagonal line as the piece. Pawn: one square forwards (or two squares from its starting position). If the King is threatened, a player must warn their opponent by calling “check”. If there is no way out for the King, this is called “checkmate”. Tip: Look up the exact rules of Chess online to improve your understanding of the game and your strategy. There is no shortage of websites, Chess programs, Chess servers, and mobile and tablet apps to help you out. Looking up these rules takes no time at all, and you can play Chess on GameTwist while you learn! Did you know that Chess originated in India and made its way to Europe via Persia with the spread of Islam? Chess was among the most popular games in Europe as early as the 13th century, when it was most commonly played by knights. 2. Did you know that the current Chess World Champion is Magnus Carlsen (as of 2019)? The Norwegian has held this title since 2011! Did you know that there are now computers with artificial intelligence that can teach themselves to play Chess? One such example is AI DeepMind, which was developed by Google subsidiary DeepMind. Play Chess on GameTwist – just one of many games! 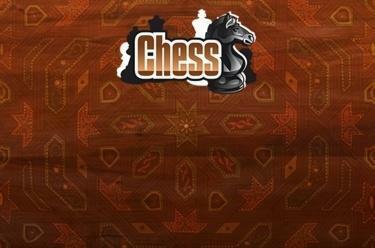 If you fancy trying out other games beside online Chess, you have come to the right place. We have a variety of further top games in our portfolio, including Backgammon and Mahjong. And you can play them all without annoying adverts! Impressive, right? Our recommendation: Simply register or log in to play! Who knows, perhaps you’ll give your first opponent a lesson and go down in GameTwist history as the best player ever! Whatever happens, we’ll keep our fingers crossed for your current game or your next Chess session. Checkmate your opponent and head into your next game with a win under your belt!